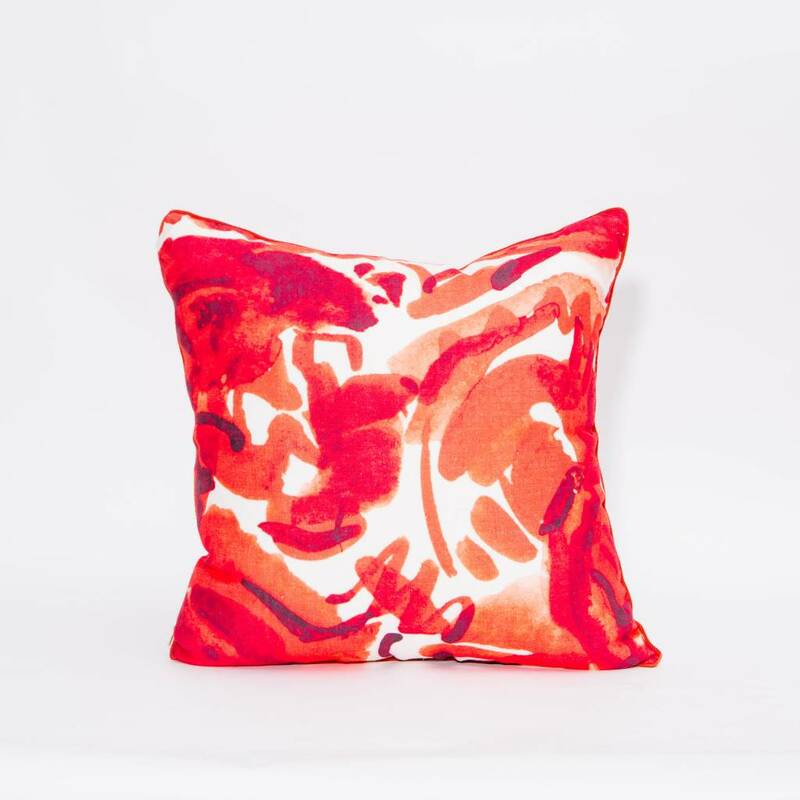 The Havana Roja Pillow from Electra Eggleston. "My father William Eggleston and I have always shared a love of great textiles and a good story. During a series of spontaneous trips to visit him in Memphis, I unearthed countless drawings spanning decades before and after I was born, an artistic legacy far longer than his career as an iconic photographer. Preserved and unpreserved, neatly archived in boxes and crumpled under couch cushions, scrawled on the backs of receipts, I gathered them all and began almost unconsciously to structure them into repeating patterns. 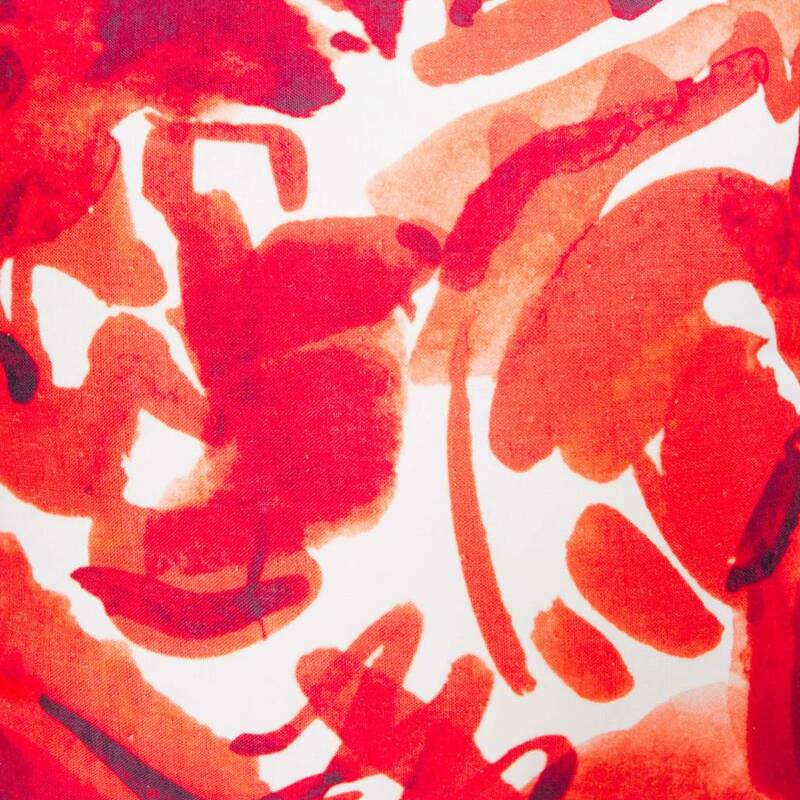 What eventually emerged from this father-daughter collaboration was a debut series of textile designs and the birth of a print design brand. Through electra eggleston, this growing collection of prints goes on to live a second life in the worlds of interior design and fashion." 100% animal cruelty-free, hypo-allergenic synthetic down insert. Dimensions: 22" x 22" square.